The artist will give her final performance of the Magic Spells series at Magnes. 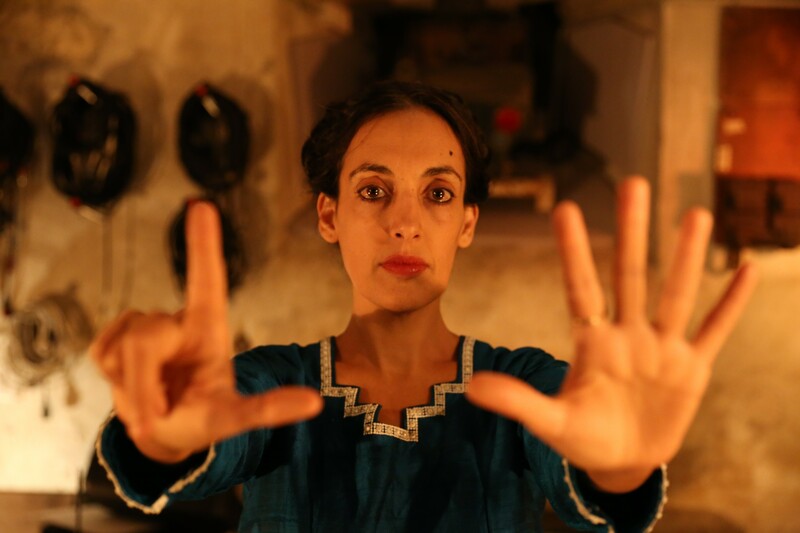 Jerusalem's biggest hipster, Israeli artist Victoria Hanna, has captivated the Berkeley community over the past six weeks in her performance series Magic Spells at the Magnes. The world-renowned composer, creator, performer, researcher, and teacher of voice and language has spent the past few months at UC Berkeley co-teaching a course on Jewish nightlife with art curator and associate professor Francesco Spagnolo. Hanna first rose to fame in 2015 with the release of her debut single, “The Aleph-bet Song (Hosha'ana),” her take on the Hebrew alphabet. The song and video are rather hypnotic and a bit peculiar, and this quirky persona helped turn Hanna into an internet sensation. As part of her performances series at the Magnes, Hanna crafts an original interpretive piece each week based on Hebrew amulets in the Magnes' collection, which are displayed for the audience to examine during and after the show. Hanna began working with amulets and ancient texts as a child, raised in an ultra-orthodox family in Jerusalem. “My father was a rabbi so religion and spirituality have always been a big part of my life,” she said. Hanna began posting her textual interpretations on YouTube, which caught the eye of Spagnolo. Spagnolo reached out to Hanna via Skype, who was looking for any chance to continue to invent and explore the unknown. After several more Skype sessions, Spagnolo ventured to Jerusalem to visit Hanna and invited her to join him in Berkeley. Hanna said her students initially seemed a little hesitant about her at, wondering “who is this cuckoo woman moving her body and making such strange sounds,” Hanna said, jokingly. Using a traditional cabalistic approach, Hanna has taught her students the “universal language of sound,” pushing them to break out of their shell. “You always learn the most when you are uncomfortable,” said Hanna. It is this “utilizing of a UC Berkeley classroom that adds a whole other dimension to Hanna’s work,” says Spagnolo. “If a group of 19- to 20-year-old students from an array of different backgrounds can connect with such specific and ancient materials, you know you’ve uncovered something special,” he said. Last Tuesday, Hanna’s students joined her onstage. She composes much of her performances in real time, something she sees as a privilege as Spagnolo grants her a space of total creative freedom. “It’s really important he trusts me; he tells me you do whatever you like,” said Hanna. Hanna will give her final performance of the Magic Spells series on Tuesday, Dec. 5, as the UC Berkeley semester comes to a close. She is at UC Berkeley with the Visiting Israeli Artists Program supported by the Charles and Lynn Schusterman Family Foundation. She's also working on her second album. Next year, she will be performing at music festivals across Australia and New Zealand before touring Europe in the spring. The venue has become one of the band's favorite when touring.